As Monk’s Painting, we’ve been painting homes in and around Livingston NJ since 2007. We’ve grown to include additional home improvement services, and changed our name to Monk’s Home Improvements to reflect that. However, painting remains an important part of our family-owned business. We thoroughly prepare all surfaces and take care to protect your furnishings. We pride ourselves in delivering you a painting job that you’ll enjoy for years to come. 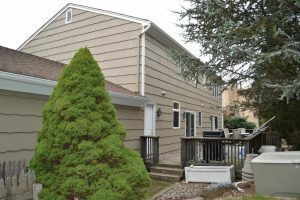 Jon Clauson manages all of the Monk’s painting, carpentry, and flooring projects for Livingston, NJ. He coordinates and schedules his specialized crews and makes sure you are satisfied with the work we perform. Jon looks forward to discussing your interior painting or exterior painting project with you. Call to schedule an appointment for a free, written, on-the-spot estimate with Jon. He’ll tell you why we are the best painters in Livingston NJ! We handle all types of painting projects. Besides walls and trim, interior painting may include kitchen cabinets, railings and more. Additionally, Monk’s painters paint exteriors including trim, cedar shingles, fences, decks, sheds and more! Additionally, view our Gallery pages to see actual projects completed by Monk’s carpenters and painters. 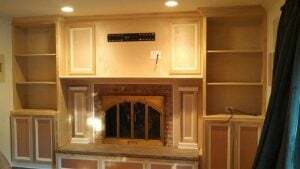 Call 973-635-7900 today to schedule an appointment with Jon to discuss your painting or carpentry needs.